I’ve heard over and over again that the average curriculum just does not include the types of resources that you need in order to really support your teaching. With regards to multiplication, the chances are good that the resources that you currently have access to do not properly support conceptual learning or strategic thinking. It is so important that each set of multiplication facts is reinforced in a variety of ways, including problem-solving, finding missing unknowns, skip-counting, making groups, arrays, and picture representations. We want our students to REALLY understand each set of multiplication facts so that mastery becomes accessible. This is why I recently created these Multiplication Task Card sets. With 24 task cards in each of the 17 sets, the basic multiplication facts are reinforced in a wide variety of ways. Each set of facts is isolated so that students are working with ONLY the facts that they are trying to master at any one time. 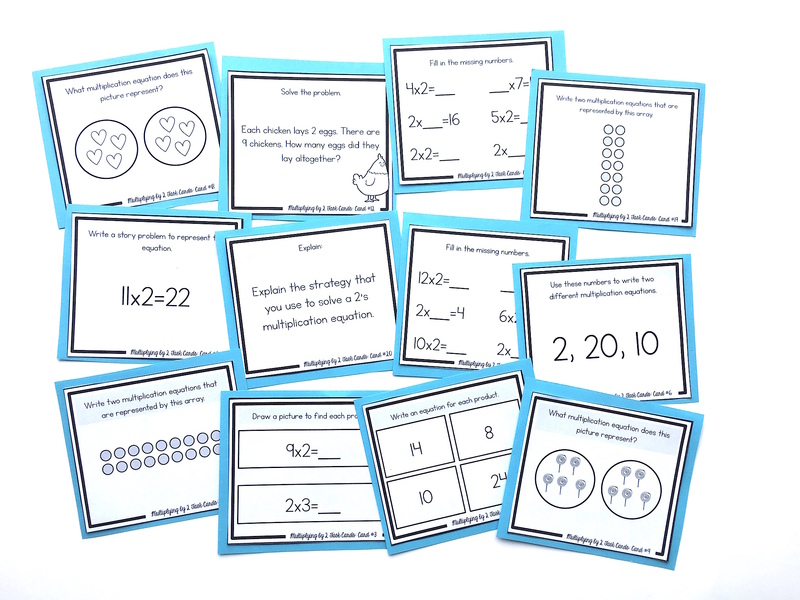 If you are currently using The Multiplication Station in your classroom, these task cards are a fantastic way to support your students! Make the task cards available at the end of each level for students to practice before their oral test, or as extra support for students who still need a bit of help mastering the facts after a level. I’d love to give you a free set of task cards! Sign up HERE and I’ll send you the Multiplication by Two Task Cards right to your inbox. Want to tackle all of the basic multiplication facts in your classroom? 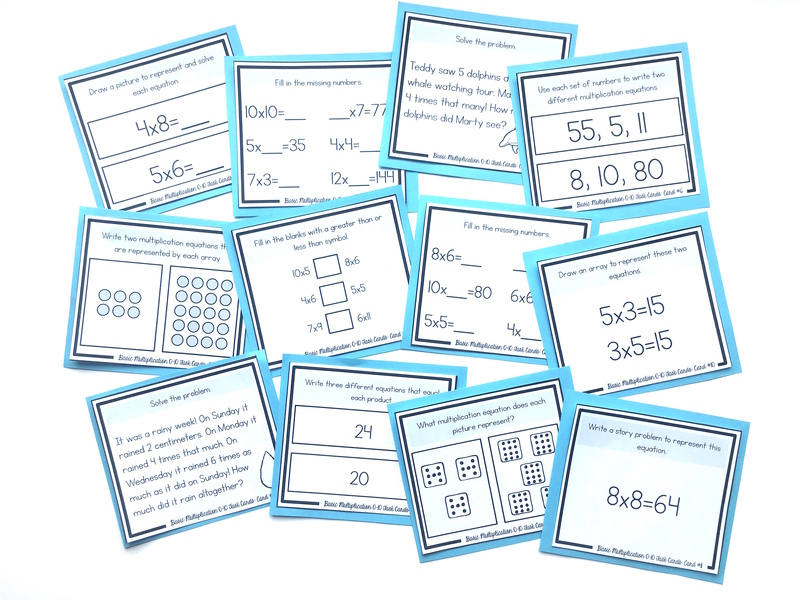 GET THE FULL MULTIPLICATION TASK CARDS BUNDLE HERE.